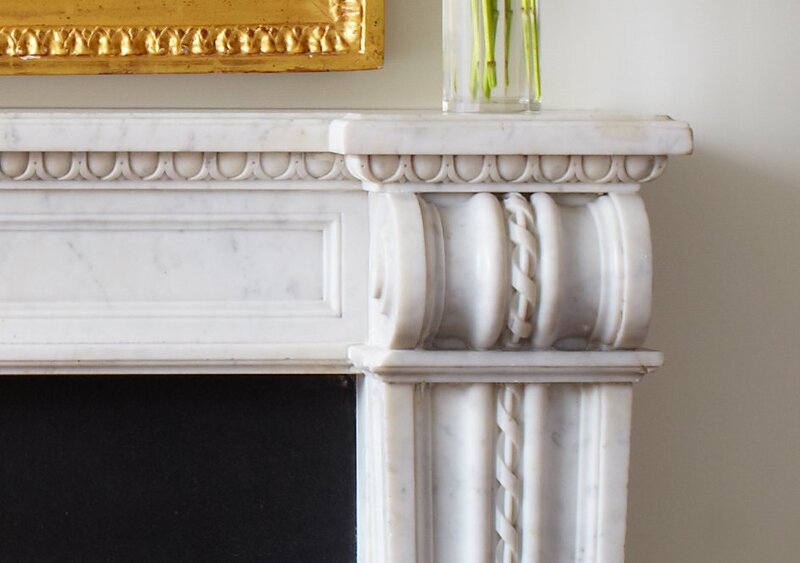 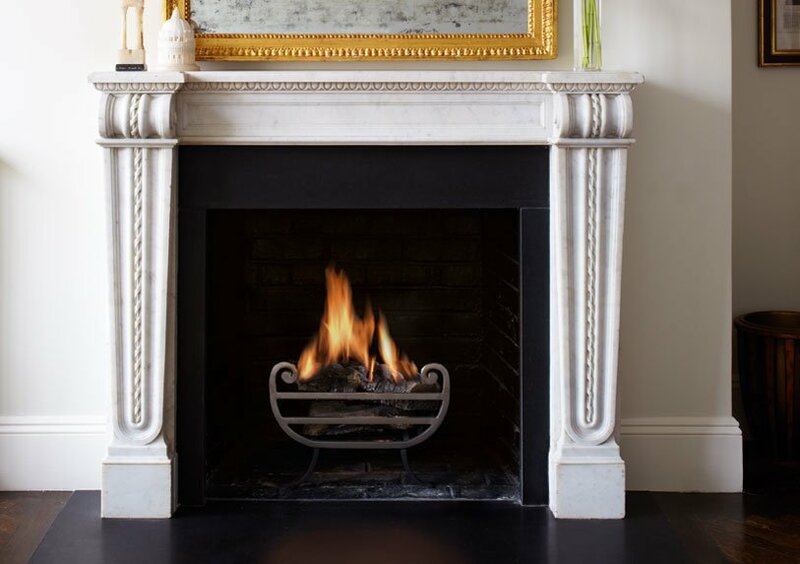 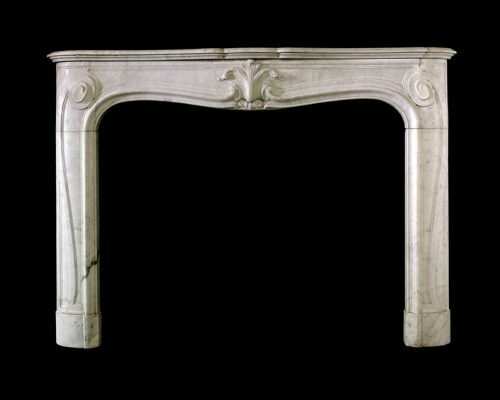 A handsome statuary marble chimneypiece incorporating strong classical influences. 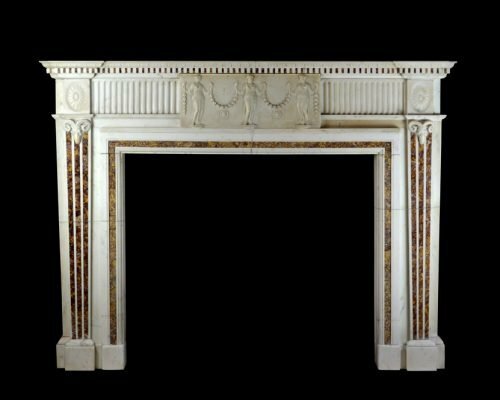 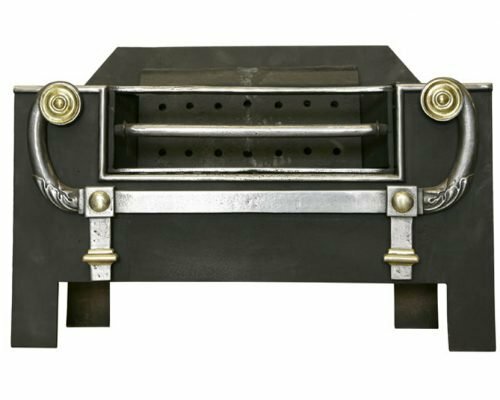 The pilasters have tapering panels decorated with a repeating intricately carved motif terminating beneath robust corbels. 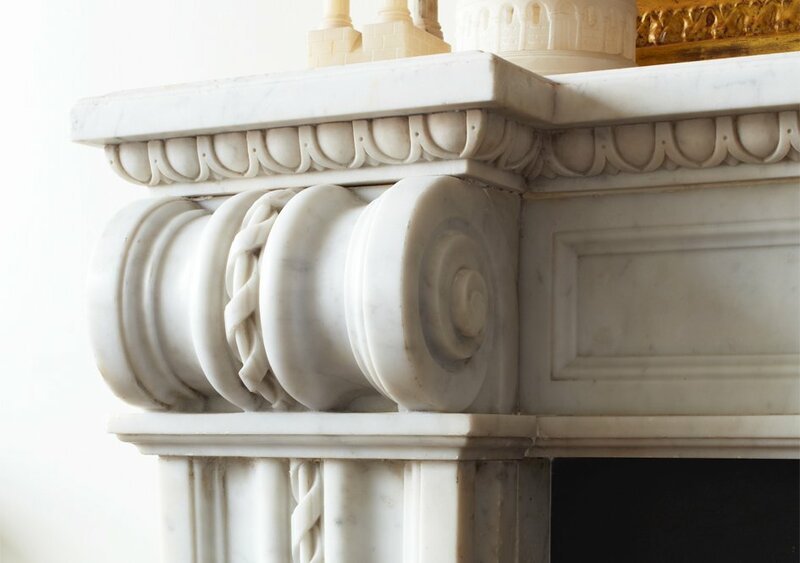 The frieze has plain recessed panels beneath a breakfront shelf with a tier of crisp egg and dart carving.